The easiest thing to do when reviewing bad games is ripping them to shreds, taking all of their faults and going through each, one by one, eviscerating them. However, it's much harder to look at games that you have a great love for, perhaps irrationally so due to them being an important part of one's childhood, and picking out the things that just don't work so well in them. That's what this series of articles from SuperPhillip Central is all about: figuring out what didn't work-- no matter how small-- in the games that I love so much. If you'd like to see five of my favorites from the first installment of this article series, click this link. We begin with a game that has the gaming world excited for its upcoming remake, though with Square Enix's history, we might be sitting here five years from now still waiting for it (okay, okay, maybe that's a bit of an exaggeration). Of course, I'm talking about Final Fantasy VII, one of the most popular entries in the storied Final Fantasy series and many players' first foray into the franchise. The game has a lot of variety to it, an excellent story, and one of the best casts of characters in the entire series. Everything from the memorable locales, then-impressive visuals in both gameplay and CG cinematic form, the stellar Nobuo Uematsu-composed soundtrack, and rewarding Materia system makes for a wonderful and lengthy RPG that seldom outwears its welcome. 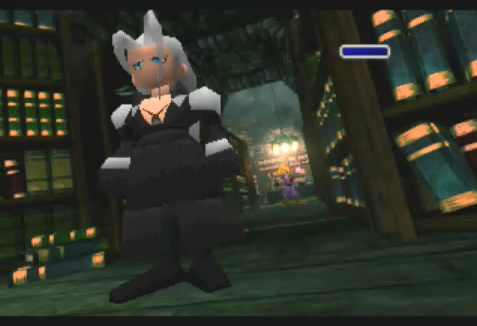 Certainly, it was an arduous proposition to come up with something truly bad about Final Fantasy VII, but then I remembered something that stops me from regularly replaying the game. 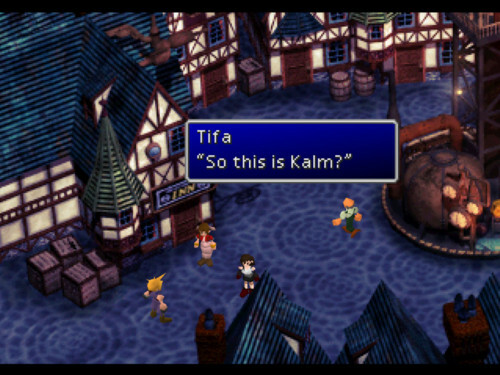 After the intense and excellent introduction of VII inside Midgar, many players found themselves bewildered by the fact that Midgar was just the tip of Final Fantasy VII's iceberg. They were thrust into a world map that meant that Midgar was but a small part of a much grander and ambitious game. 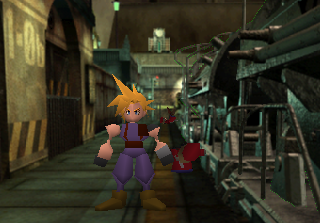 However, soon after arriving on the world map, the part of Final Fantasy VII that brings me pause upon starting up a new play-through so easily rears its head into the picture. I'm talking about the approximately 40-minute flashback sequence that occurs upon arriving in Kalm. There are good things about this moment in the game, such as showing off Sephiroth's amazing power in battle by killing a giant dragon with one attack while the soldiers joining him can hardly put a dent into its HP, as well as establishing character relationships and some back story (as well as making a later revelation in the game have a much larger impact). However, upon repeated play-throughs, it's a section of the game I wish I could skip sometimes. Even then, that's big praise that a quick fraction of a gigantic game is the thing that bothers me the most about Final Fantasy VII. While Final Fantasy VII's Kalm flashback sequence can stop me from doing a run of the game, Final Fantasy Tactics has something that can stop beginning players from successfully continuing their first run of the game. 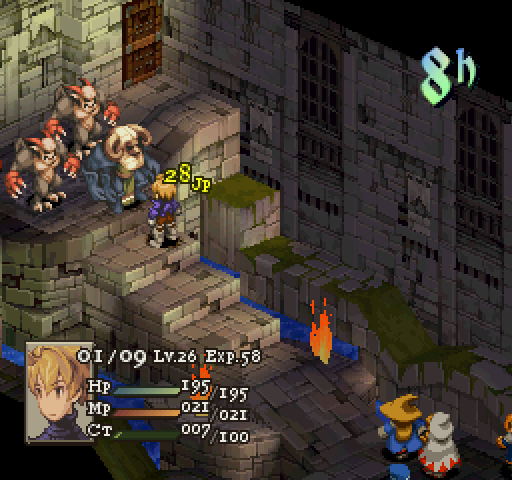 Final Fantasy Tactics' various missions generally take place isolated from one another. However, occasionally within the game, there are missions occur one after the other without the option to return to the world map. That isn't a problem so far. The problem here is that you're given the option to save in between these missions. What's wrong with that? You can find protagonist Ramza's party too underleveled or not strong enough to tackle a mission in these successive battles. With no option to return to the world map upon losing (you get a game over instead), you can find yourself stuck with no possible means to progress in the campaign. The first set of battles that this can become a problem is Riovannes Castle, a setting housing three successive fights. The second, against a transformed Wiegraf, is quite possibly one of the toughest encounters in the game, much more a massive jump in difficulty early in the game. 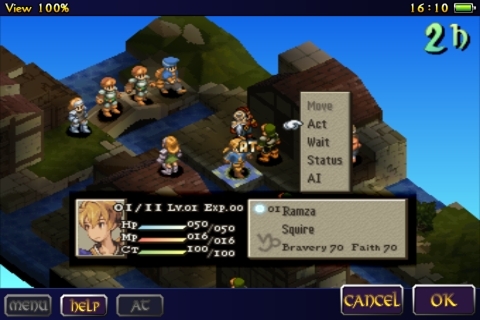 Without proper knowledge of this, beginning players can find themselves having to start a new save data from the very beginning of the game if they weren't aware to make a second save ahead of time. I know my early struggle with this problem caused me to drop Final Fantasy Tactics for months. Thankfully, I went back to it and found myself thinking Tactics is one of the greater games in the franchise, mainline, spin-off, or whatever. 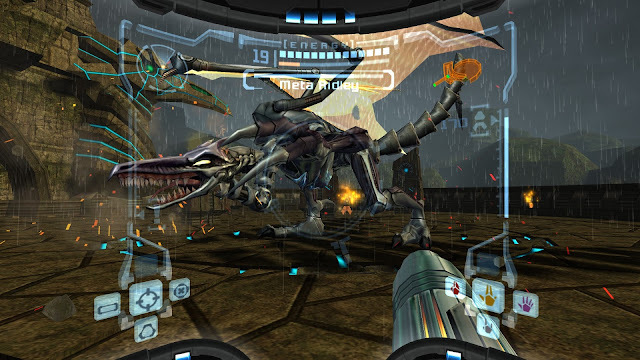 Retro Studios and Nintendo seemingly did the impossible-- not only take the then-previously all 2D Metroid franchise into 3D with fantastically epic results, but it was done with a team that was inexperienced at best. Really, Metroid Prime is one of my favorite games of all time, but it's not without an issue that many players might find frustrating. 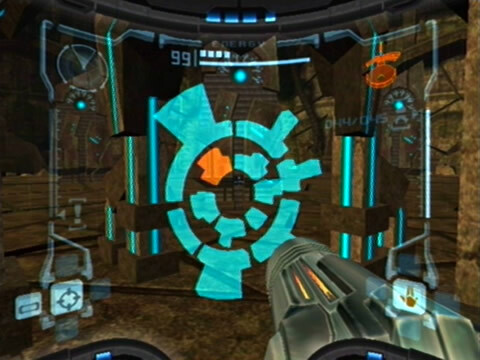 This particular segment of Metroid Prime occurs late in the game. 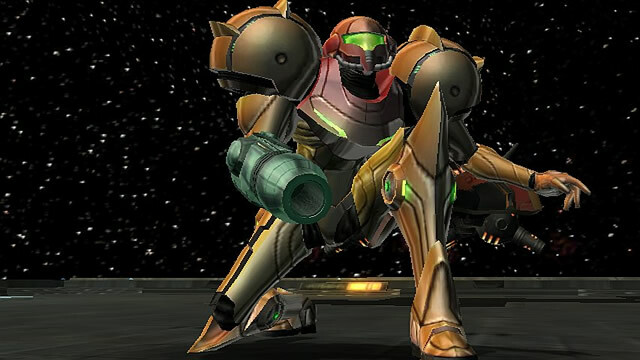 Samus Aran is tasked to venturing to the Impact Crater of Tallon IV after exploring all other areas within the game. There she finds a series of nine pillars that require you as the player to venture (see: backtrack) through the areas of Tallon IV to find the Chozo Artifact designated to each pillar. You get a clue for each artifact's location from each pillar. Personally, I found this little end game scavenger hunt enjoyable, but just imagine other players' perspectives, thinking they were at the end of the game, ready to take on the final bosses, only to be stopped by this late game collect-a-thon. Many found themselves turning to places like GameFAQs and the like to rush through this section of the game to finally get the chance to take down Meta-Ridley for good (at least in the original Metroid Prime "for good") and then go on to face Metroid Prime itself. The funny (perhaps I should have put that in quotes) part about this late game scavenger hunt is that it would be used in the Metroid Prime games succeeding this one. I found them fun, but then again, I found the Triforce Quest of The Legend of Zelda: The Wind Waker somewhat tolerable, so I have my own issues! Mario Kart 8 is the latest in the long-running and most successful arcade kart racing series on the market. 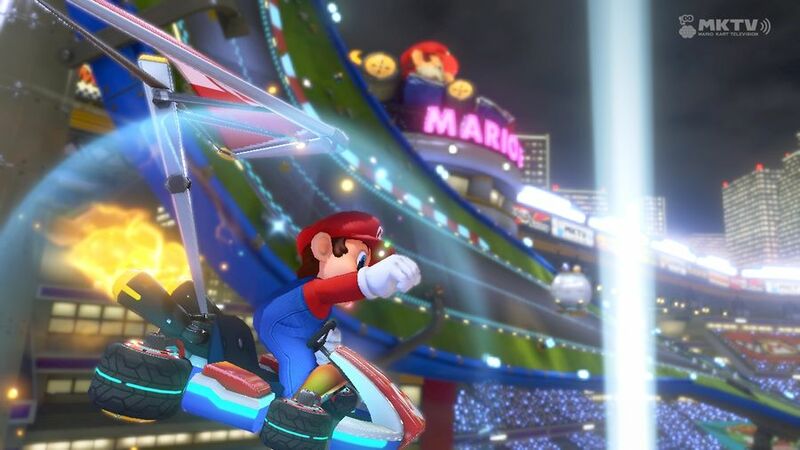 With every iteration, Nintendo delivers fun and fast racing that is accessible to all skill levels while possessing enough depth to remain engaging for gaming veterans. 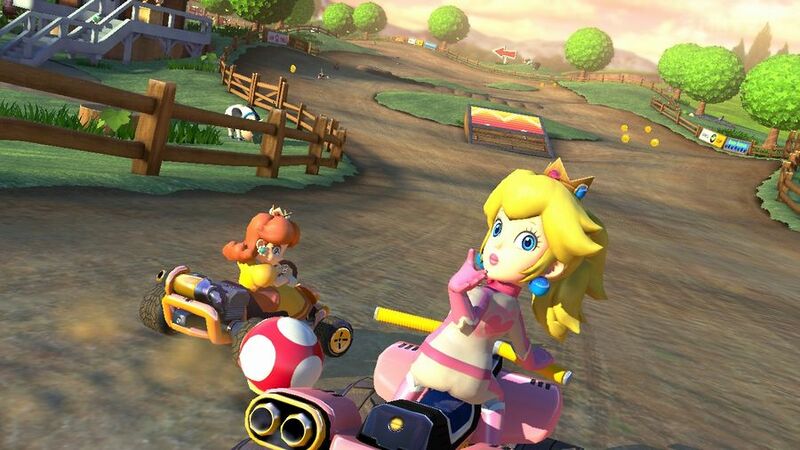 This is a rather humorous inclusion to this list of my favorite games with problems because the problem I am going to talk about is getting fixed with the Nintendo Switch's Mario Kart 8 Deluxe, coming out at the end of April. That problem is one many players of the Wii U original know all too well-- the omission of Bowser Jr. Okay, no, while that was an issue I had with the Wii U original, the real problem is the Battle Mode. 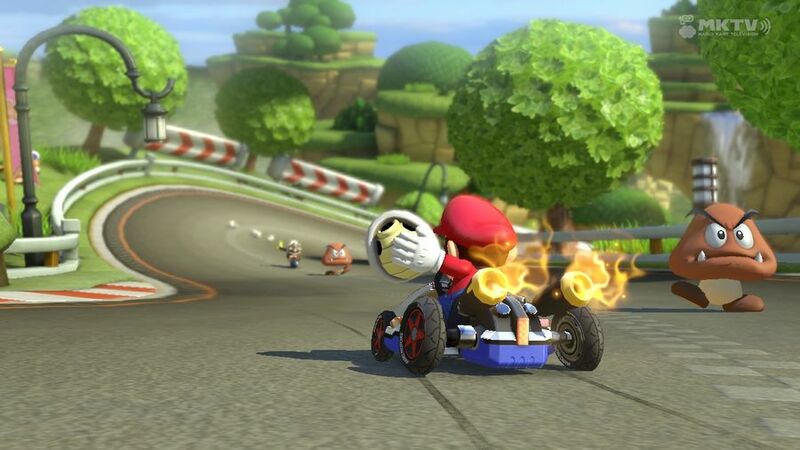 What made previous entries of Mario Kart so engaging with their Battle Modes were dedicated arenas to pursue, hunt down, and attack opponents on. In Mario Kart 8's Wii U incarnation, the Battle Mode consisted of tracks from the Grand Prix mode of the game with no real alterations that could be traveled on in both forwards and backwards fashion (i.e. no major glider sections that could only be traveled one-way). While the varied geography of the battlefields weren't inherently awful, the size of them meant opponents took much longer to find one another and confrontations weren't as thrilling as they would otherwise be in an arena setting. Thankfully, a big part of the appeal of Mario Kart 8 Deluxe on the Switch is the return of the classic arena-style Battle Mode. Sure, for many who owned the Wii U original, it might not be worth a second purchase. However, at the same token, most gamers and consumers didn't own a Wii U, so the package will be an entirely new game to them regardless. 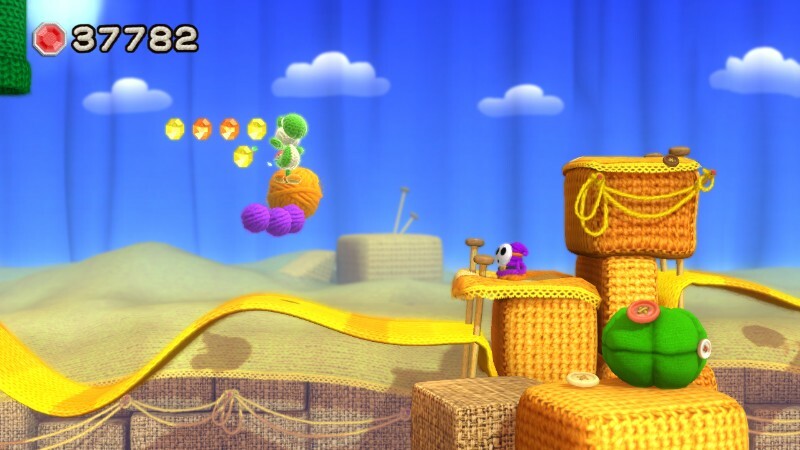 I recently reviewed the Nintendo 3DS port of the Wii U's tremendously creative and charming Yoshi's Woolly World. To me, both versions of the game are modern classics that rival even the original Yoshi's Island on the Super Nintendo. One of the major things I like over the SNES classic is that getting 100% in a level doesn't need to be performed by doing every task in one run (getting all five flowers, collecting all 20 red coins, or badges in Woolly World's case, or having full health by the end of a level), making for a much less stressful experience. However. Yoshi's Woolly World isn't without its faults. Let me focus on the main one that can drive many completionists crazy. A good deal of collectibles within the game are found in hidden cloud bubbles. I'm talking literally hidden in that they're invisible to the eye until Yoshi brushes up against them. This means that in many levels and in order to find everything, you need to obsessively jump in any suspicious space to have the bubbles appear. 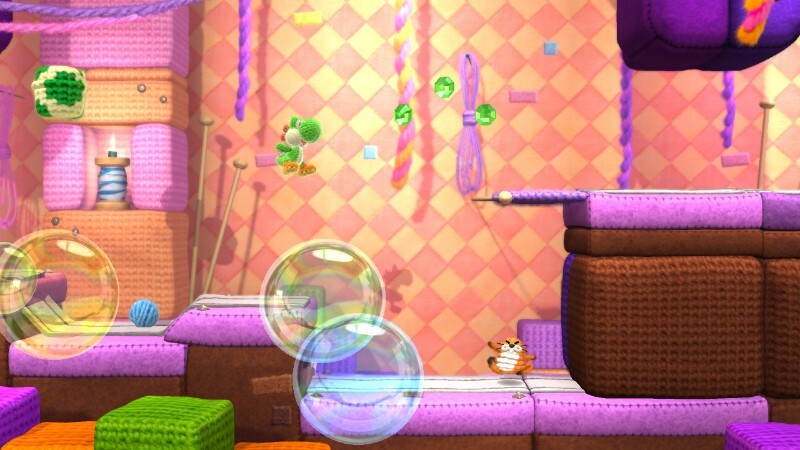 Inside the bubbles are usually things that are required to fully complete a level, such as a flower, a collection of colorful beads where one or two of them are badges you need to nab, or a yarn spool. While there are items you can spend beads on to reveal their locations, it feels disappointing that the collectibles almost require you to do that for so many levels. It's like the developers knew how much they overdid hiding secrets in the game and gave themselves a way out. 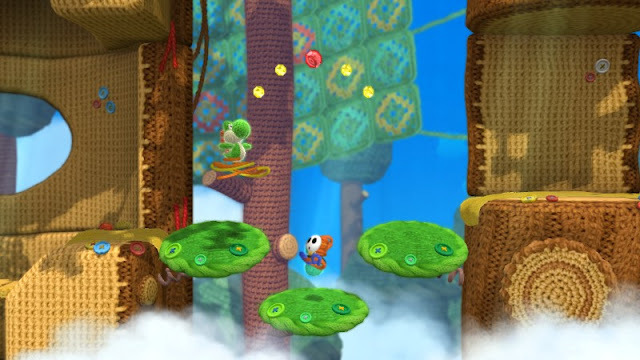 Nonetheless, even with this problem, I find Yoshi's Woolly World on Wii U and its Nintendo 3DS port amazing platformers worthy of any fans of the genre's time and money.